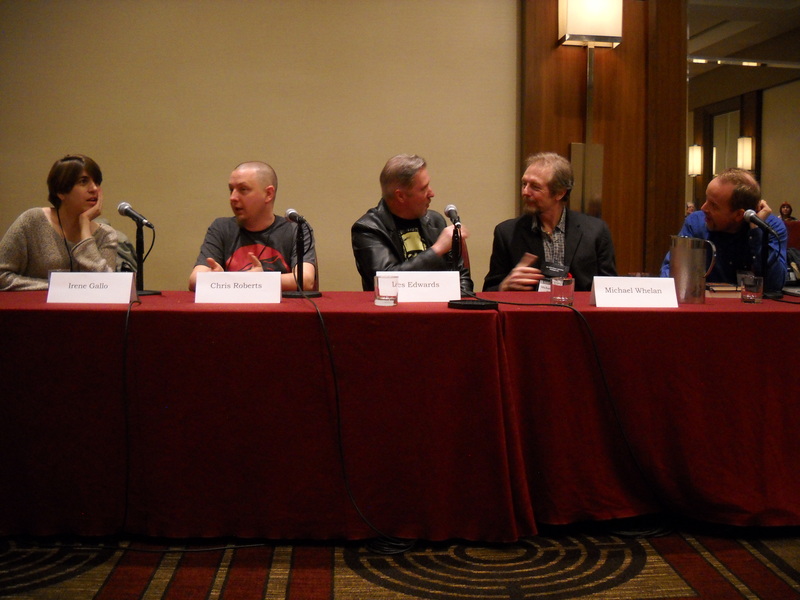 (L-R) Irene Gallo, Chris Roberts, Les Edwards, Michael Whelan, and moderator at World Fantasy Convention 2014. 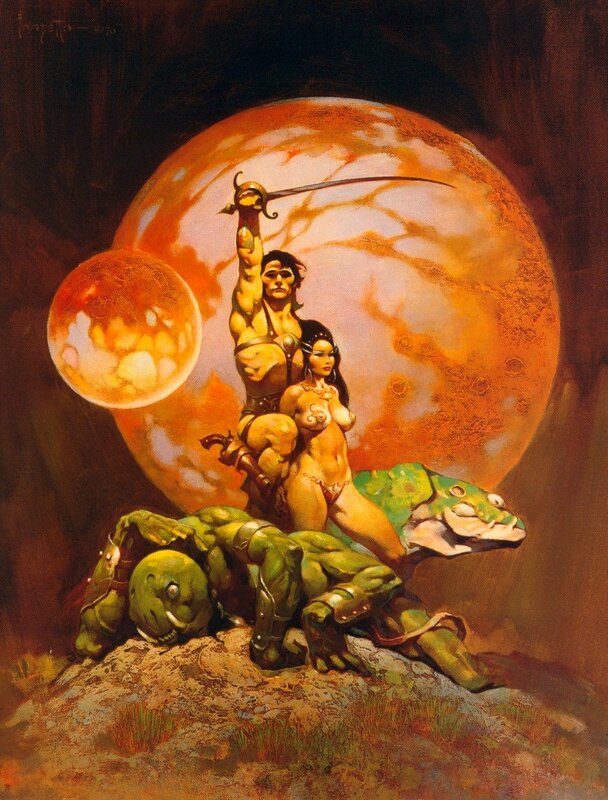 World Fantasy Convention 2014 begins this weekend in Arlington, Virginia. Guests of Honor include Guy Gavriel Kay (Under Heaven, River of Stars) and Toastmaster Mary Robinette Kowal (Glamour in Glass, Valour and Vanity). 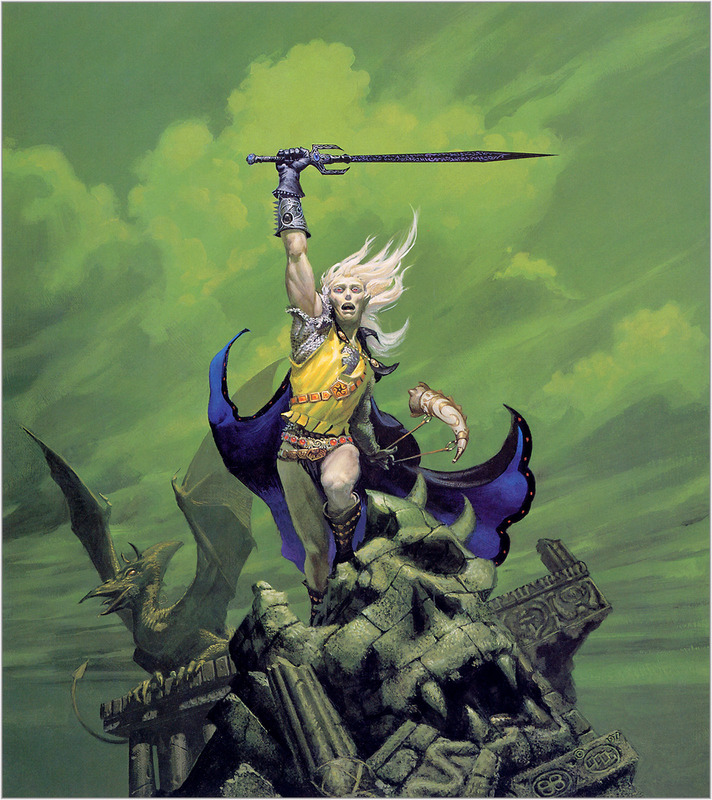 Michael Whelan, illustrator of more than 350 science fiction and fantasy books, is also appearing, and will do signings, discussions, and an art tour. Stephen R Donaldson, perhaps most famous for The Chronicles of Thomas Covenant, will also do a reading. 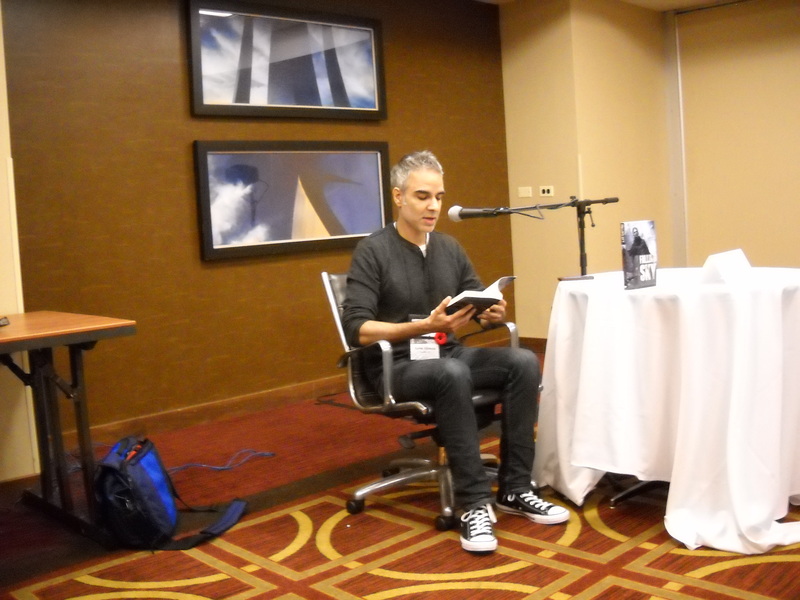 Rajan Khanna does a reading of his new zombie book, Falling Skies, at World Fantasy Convention 2014 on Thursday October 6th. Whelan also stated that Donald A Wollheim refused to buy artwork that was green, stating that green wouldn’t sell well. Whelan got around the prohibition by turning in the final colored proofs as late as possible. Guy Gavriel Kay reading from “The Summer Tree” at WFC 2014. 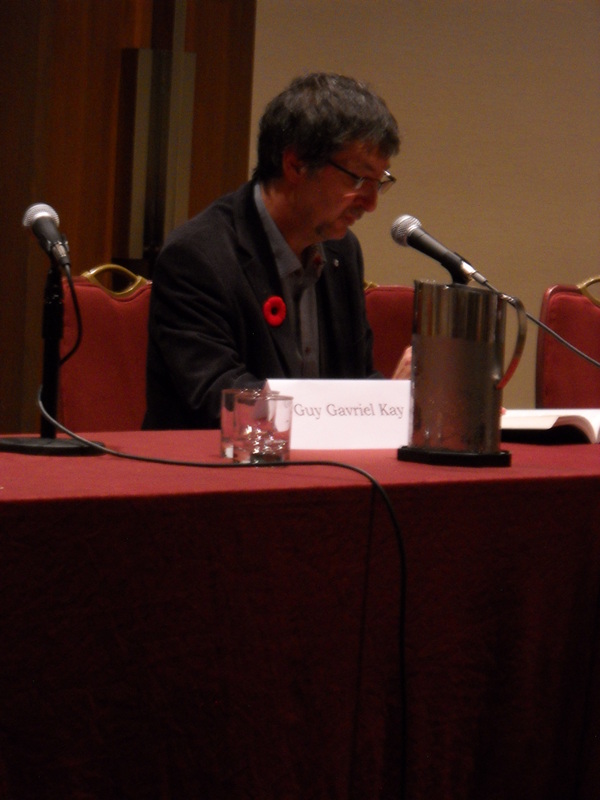 Guy Gavriel Kay made an appearance on “The Reading That Never Was”, a discussion about his first appearance at WFC in Ottawa in 1984. 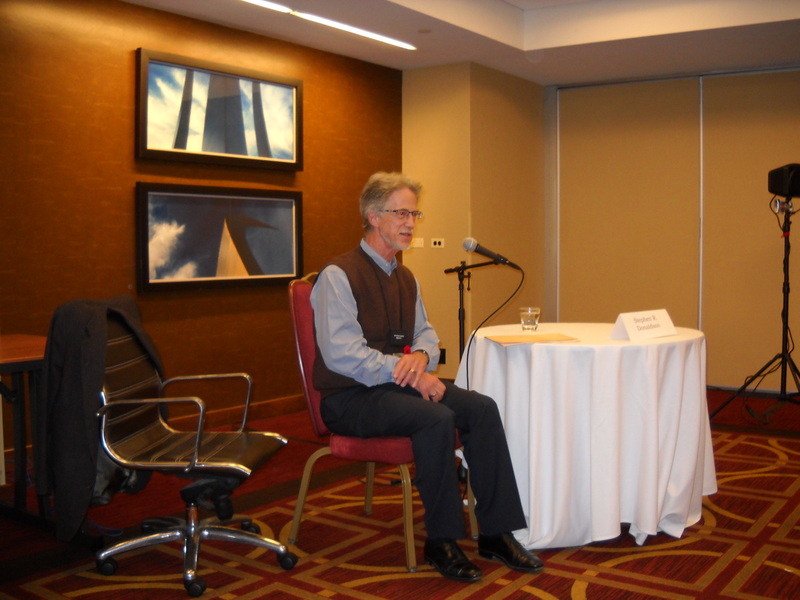 Kay had been asked to do a reading of his first book, The Summer Tree. Unfortunately, he was scheduled against Stephen King, and due to a non-existent attendance, the 1984 reading was aborted. Kay read an excerpt from The Summer Tree, reading a part of the story that he had meant to write thirty years earlier. The following day, he granted interviews with fans and made an appearance at “Dynastic China and Guy Gavriel Kay’s Kitai”, a scholarly presentation by professor Anna M Shields of the University of Maryland. Stephen R Donaldson reads from his unpublished manuscript. On Friday, Stephen R. Donaldson, author of The Chronicles of Thomas Covenant, did a reading from his new, as-yet-unpublished novella. Donaldson says that, although he thought he was through with The Chronicles, a voice told him to write more stories. The novella is the result of that voice. Donaldson has yet to find a publisher.